Countryside Watch | Can You Help? Here I'll be posting information given to me by Twitter followers (by request only). 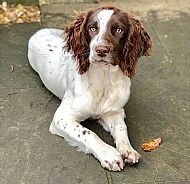 This is "AMO" - she was stolen on 15 September 2018 from Midland Game Fair; her owner misses her and wants her back.